The rains welcomed me as I landed in Seattle, but that wasn't unusual in itself. Rains are a given in this lovely sea-facing city on America's north-west coast. The Emerald City is known for its Mediterranean climate, rains and lush green surroundings as it is for its hi-tech companies. However, much has changed from the last time I was here in the early 90s. People then knew the city for its two iconic companies, Boeing and Microsoft. Now the big boys here are Amazon and Starbucks, both of whom are making big moves into India right now. Seattle has continued to grow rapidly; I was not surprised to learn that this city is the fast growing major city in the USA. Rains always bring to fore my cravings for soup and this time was no different. After checking into my hotel in Bellevue, my colleague and I went to the concierge. We were in luck! There was an excellent Ramen place within walking distance. A few minutes later we found ourselves getting off the rainy streets and waiting to be seated. 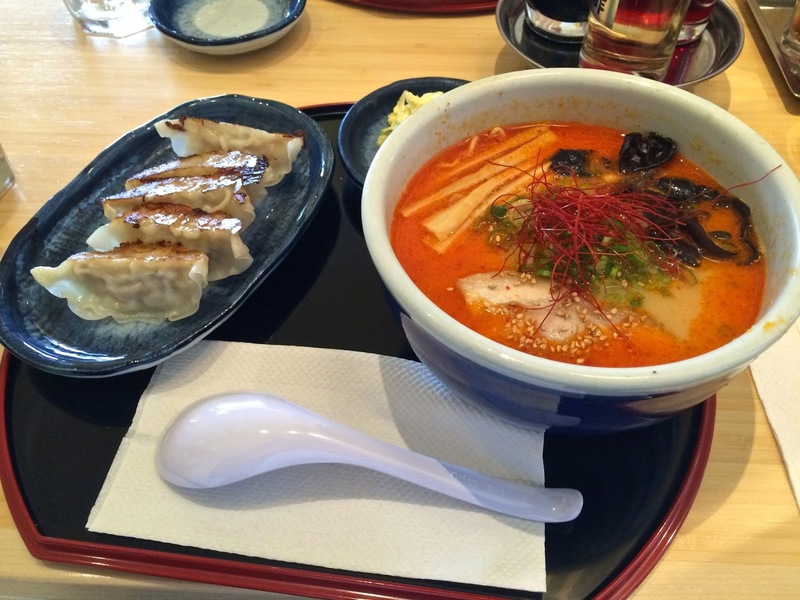 While Ramen is a common Japanese comfort food, its history is mired in mystery. Made of Chinese-style wheat noodles in pork broth and garnished with meats, miso, seaweed, and green onions could very well have originated in China. 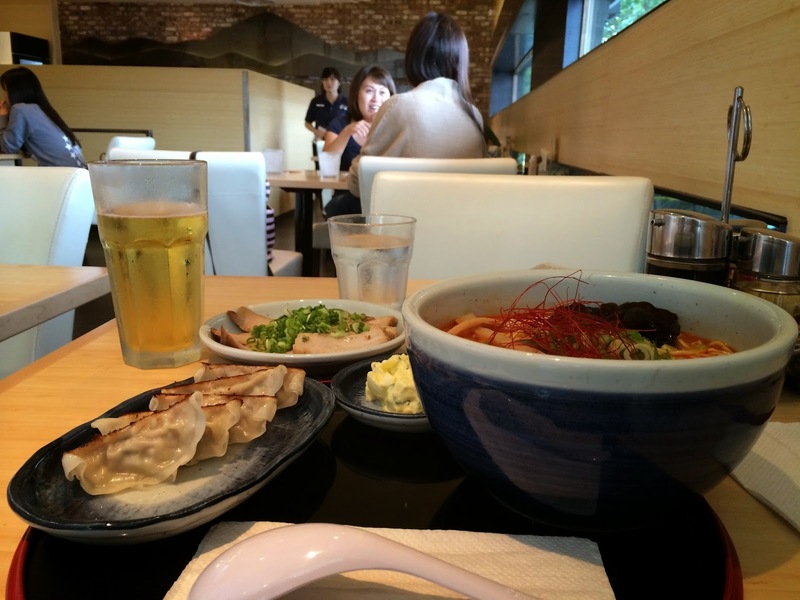 In fact, most Japanese refered to them as Chinese noodles until recently. 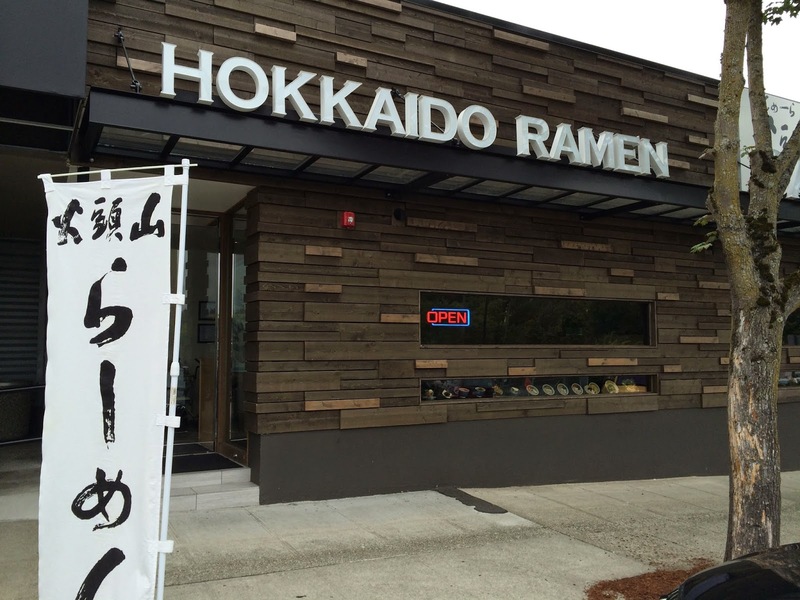 Hokkaido Ramen with its clean and contemporary decor contrasted with my previous Ramen experiences: that of sitting around small, traditional and family-run noodle bars. The dining room was filled with young Asian men and women. We ordered the Tonkotsu Kara Miso Ramen soup. Tonkotsu is pork-bone broth but this one was flavored with spicy-hot miso. I had also ordered a combo which added a portion of Gyoza pot-stickers and egg-salad. Clearly this restaurant is a hit with the many Japanese immigrants who live in the city; in general, I could see that Seattle is home to a fairly large Asian population. It is no wonder that Taiwan's Din Tai Fung has an outlet here outside which you can see a long line of waiting Asians on evenings and weekends (a scene very familiar to those who have visited Din Tai Fung in Singapore or Taiwan). The Ramen was a sumptuous and filling, one that warmed me up enough to walk out into the drizzling, cold outdoors with a contended smile! The Gyoza were delicious too. Over the next hours, I drove down to Starbucks headquarters for a business meetings. The familiar green and white logo capped the building's tower and the lobby consisted of (surprise, surprise!) a Starbucks outlet. 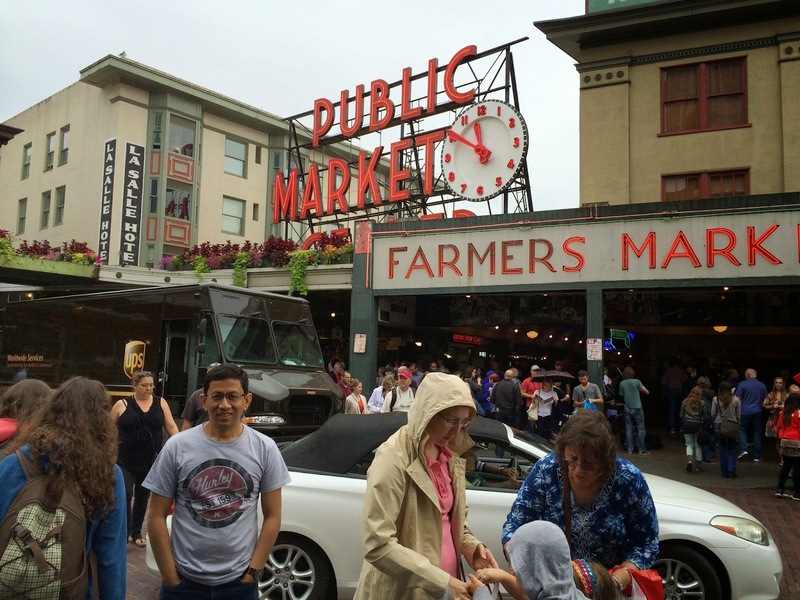 After our meetings in the city, we found ourselves with time on our hands and decided to take a stroll in Pike's Place Market. This marketplace was set up in 1907 to connect farmers with their consumers more directly. 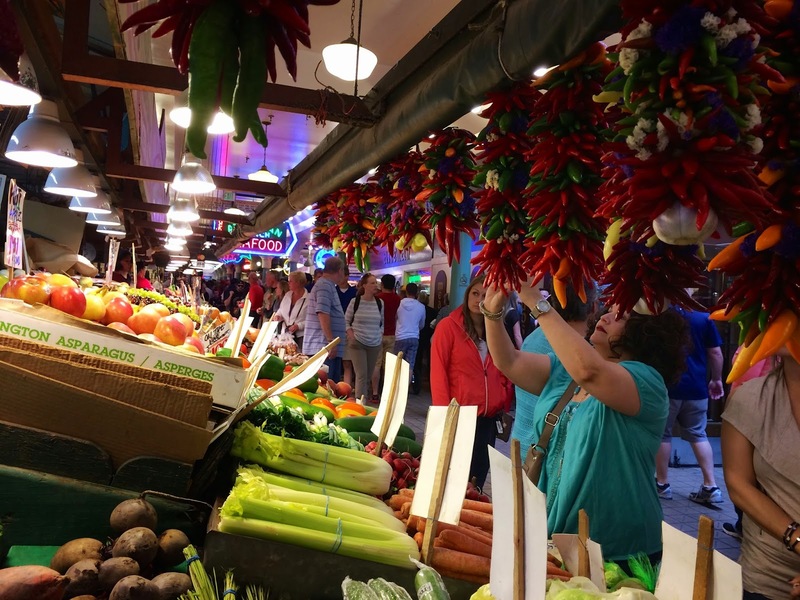 Walking through the meat, vegetable and cheese stalls reminded me of the lovely markets in Paris, Rome and Florence. There are several interesting eateries in Pike's Place but given the amount of tourists that visit this location, you cannot walk-in unless you are willing to wait a very long time. Try Matt's In the Market here if you can find a seat. 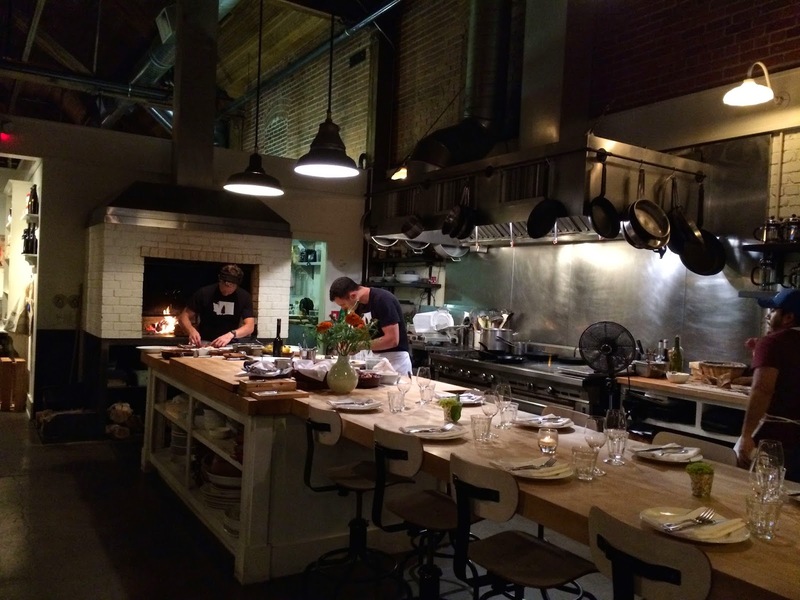 For dinner, we ended up at Sitke & Spruce, a well-regarded, avant-garde restaurant. 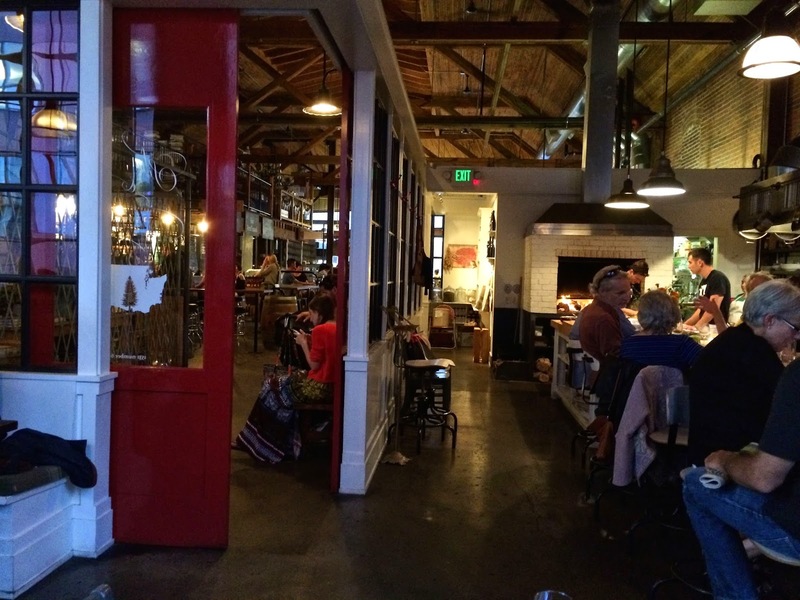 Fresh and vibrant but earthy and rustic in decor, this restaurant is a perfect example of Seattle new culinary scene. 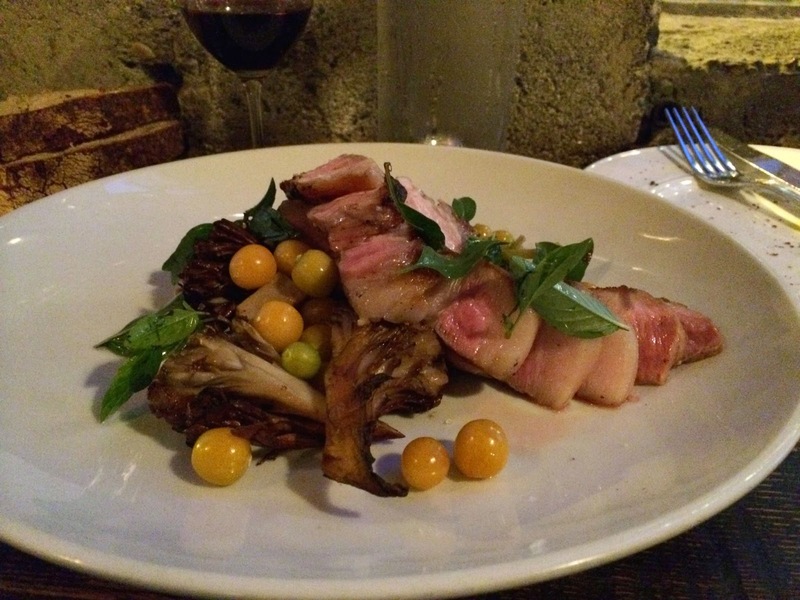 Chef Matt Dillon is highly regarded in culinary circles and the restaurant certainly has an exciting atmosphere, enhanced by its open marketplace surroundings. I was eager to try his food! Over glasses of wine, we looked at their menu which is a short one full of small plates. This is where the rub is going to be for many. The food is creative but may not be to everyone's tastes, especially those looking for familiar options to fall back on. We began with two small plates: Radishes with whipped butter and smoked trout roe, and the selection of fermented vegetables. 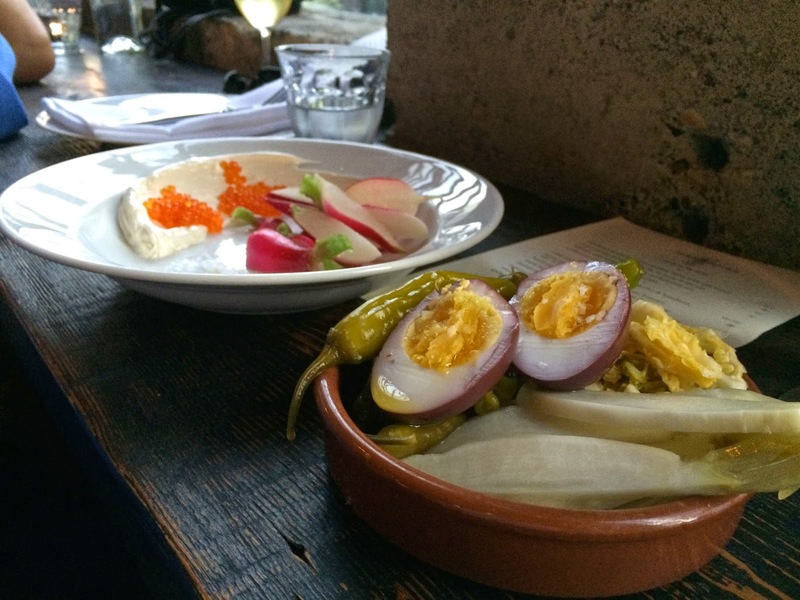 Fermented vegetables seem to be big in new Seattle eateries. Looks like chefs have begun fermenting, pickling and preserving every possible vegetable. Something we Indians love to do! 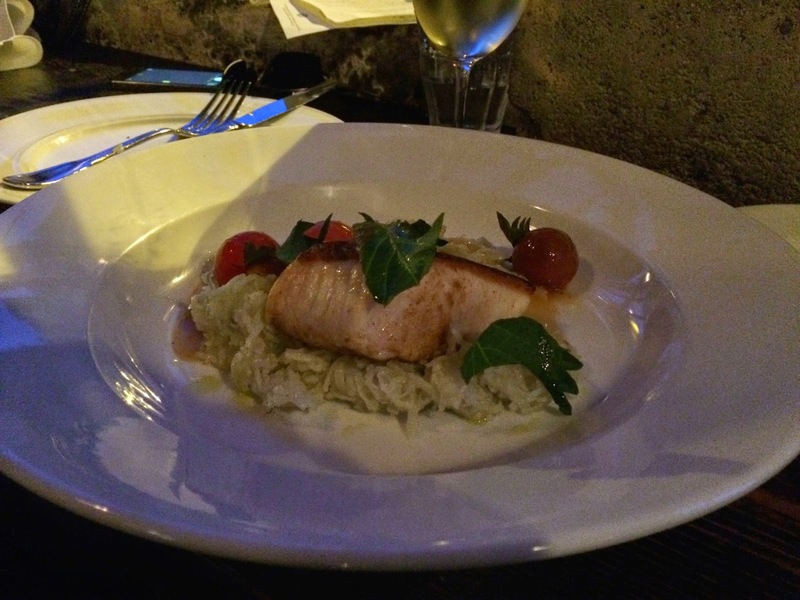 For our mains tonight, my colleague chose the ivory salmon that was served with kohlrabi, cherry tomatoes, cumin and verjus. I selected the loin of pork, lobster and maitake mushroom, celery and anaheim. The food turned out to be perfectly delicious, though not particularly memorable or mind-blowing in any way. However, we loved the ambiance of the place itself - very Seattle! You were in Seattle? What a pity I get to know only now, assuming you're back? Otherwise will love to catch up and perhaps provide a few recommendations! The foods are awesome. Looks yummy. want to have all of them.